Details on what it means when a record is saved in a draft state. If you attempt to save a record before all of the required fields are filled out, you will be asked if you would like to save the record as a draft. If you save a record as a draft, it will be stored locally on the device and will not be uploaded to the server until the required fields have been filled out. 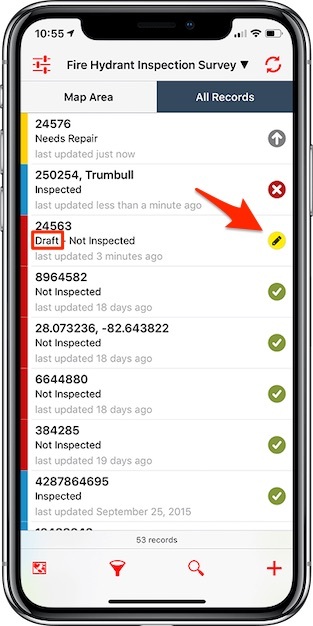 The easiest way to locate records that are currently in a draft state is by using the iOS list view and look for records that have “draft” under the record title and the saved as draft upload status.